Datawind, the makers of the low cost and world’s cheapest Android tablet Aakash have today announced the launch of four new tablets under its UbiSlate range. 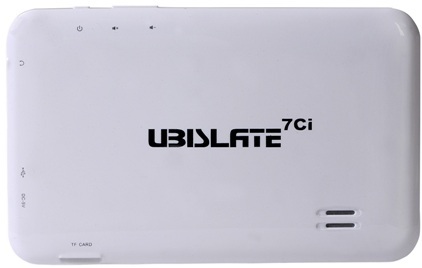 The four new low-cost tablets launched by Datawind are called the UbiSlate 7Ri, 7R+, 7Ci, and the 7C+ and are priced between Rs. 2,999 and Rs. 4,499. There are very minor differences between going the specifications that the UbiSlate 7Ri, 7R+, 7Ci, and the 7C+ pack in. For example the UbiSlate 7Ri and UbiSlate 7R+ arrive with a resistive touch screen panel while the UbiSlate 7Ci and UbiSlate 7C+ arrive with a Capacitive touch screen panel. All the tablets arrive with a 7 inch screen and a display resolution of 800 x480 pixels, are powered by a 1 GHz ARM Cortex A8 processor coupled with 512 MB of RAM, 4GB of internal storage and front camera for video chats. 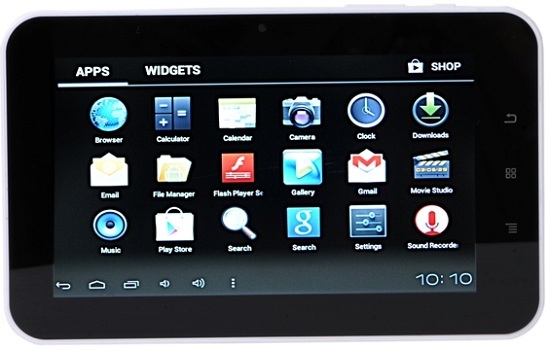 If you buy any of the above mentioned tablets then you will also get an option to have unlimited internet connectivity on Datawind’s web delivery platform for Rs 100 per month. Additionally all the UbiSlate tablets will have web browser: Ubisurfer-browser with Compression/ acceleration and IE8 rendering.